The Chinese Zodiac is an ancient tradition of assigning animal symbols to each of twelve years. The Chinese Zodiac is said to have originated in the time of the Han Dynasty and is based on the orbit of Jupiter, the longest orbiting planet in our solar system. 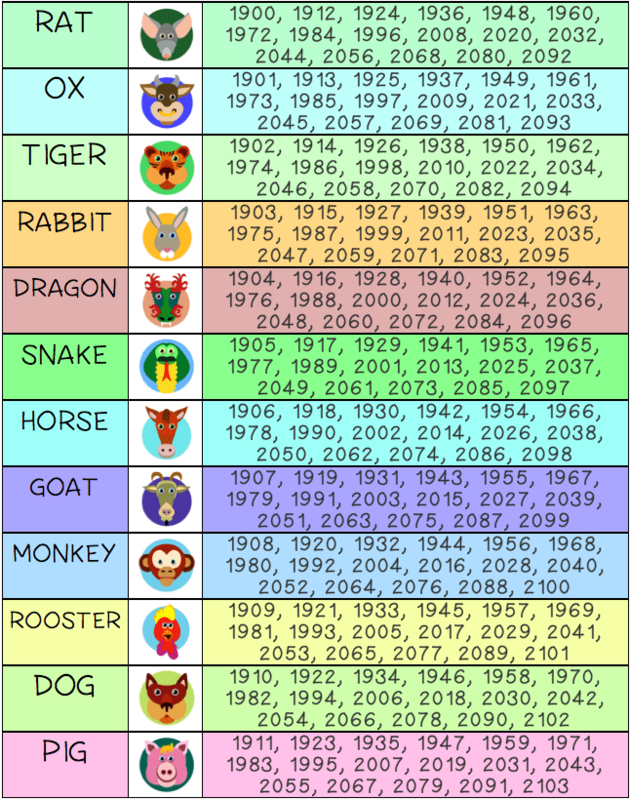 The Chinese Zodiac differs from the Western Zodiac in that it assigns animal signs to years rather than months. 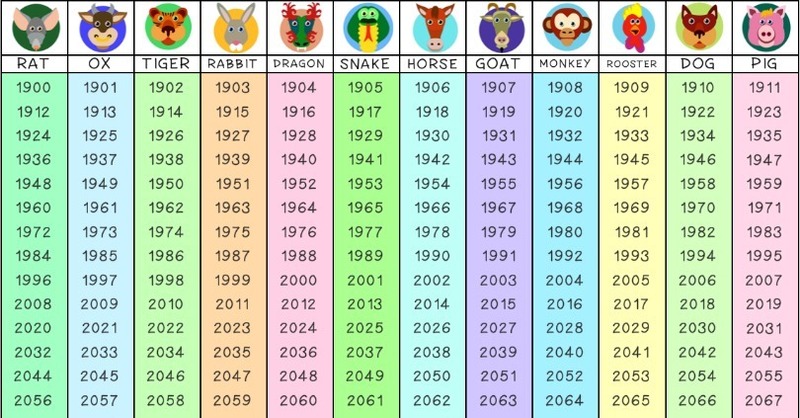 To ensure accuracy when researching Chinese Zodiac signs, be sure to look up when the New Year starts each year because the Chinese calendar year is different from the American calendar year. This discrepancy causes January and February birthdays to fall at a different time. 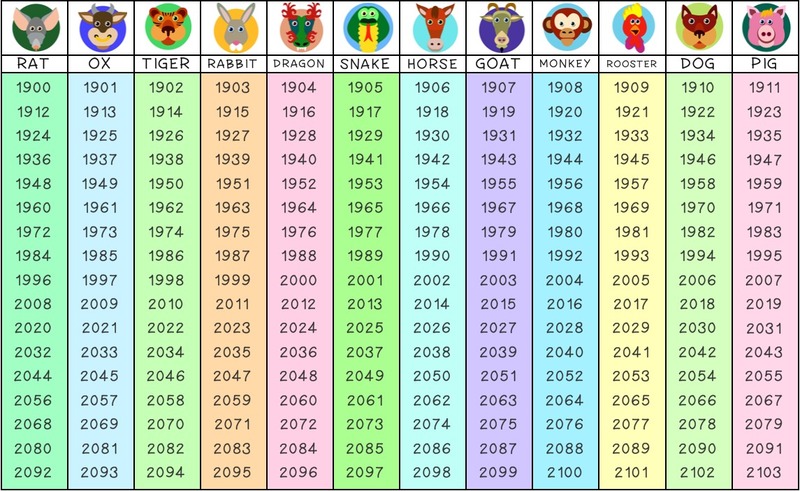 Otherwise, see the chart to the left or below to find your Chinese Zodiac sign. The twelve animals of the Chinese Zodiac are rat, ox, tiger, rabbit, dragon, snake, horse, goat, monkey, rooster, dog and pig. 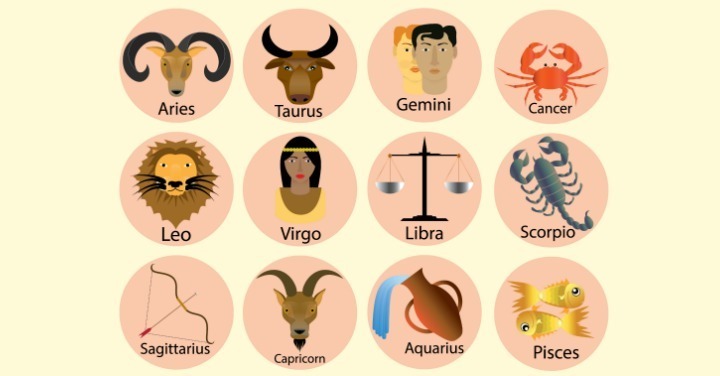 According to experts in the Chinese Zodiac, your sign determines your personality traits and compatibility with other signs. The rat is said to represent wisdom in the Chinese Zodiac. Rats find true happiness in productivity and success. Rats will be happiest when solving a problem or helping a friend in need. Perseverance is a key trait of the rats’ personality. As they are typically adept in social situations, being in the good company of loved ones often is another important step to finding happiness for a rat. Oxen find joy in stability. The most important thing to an ox is accomplishing their goals no matter what. People with the sign of ox will be happiest once they have achieved stability in their finances, family life and employment. Oxen are quiet and observant, especially in social settings. The key to happiness for an Ox is to keep a small group of people who truly care about and understand them in their life. Tigers are energetic and sociable, often preferring busy situations in which they can be the center of attention. The best way for a tiger to attain happiness is to reach toward one true goal. 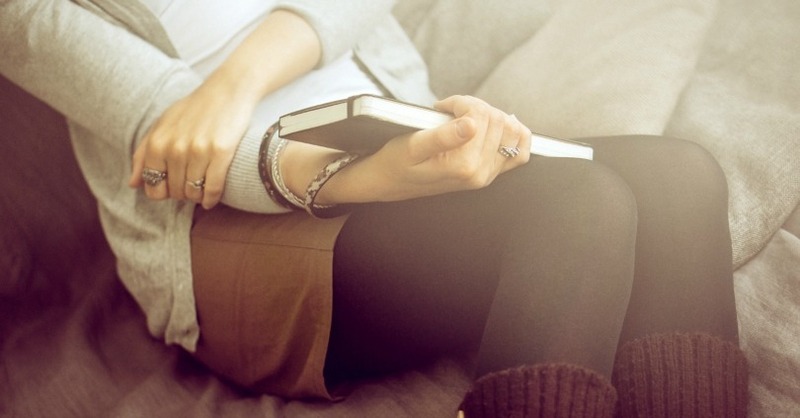 Intense focus on a goal will keep a tiger centered and balanced in their busy everyday life. Another thing tigers are known to enjoy is fighting for a cause they deem righteous. They are often outspoken in their desire for justice and focus on a cause is essential to their happiness. Rabbits are known to enjoy peace and avoid confrontation whenever possible. The key to happiness for a rabbit is a peaceful life surrounded by loyal people who allow them to take as much alone time as they need to feel refreshed. Rabbits tend toward more artistic pursuits than many of the other signs, making a career in the arts a perfect way to attain joy. Another key trait of the rabbit is their pessimism, so it is essential to a rabbits’ happiness that they try to overcome negativity and allow positivity into their life. Dragons are often associated with great power and nobility in the Chinese Zodiac. They are respected and even sometimes feared by many. Oftentimes, dragons will have a narrow focus and can become blinded by their own perspective, so it essential to their happiness that they open themselves up to the viewpoints of others. Dragons enjoy taking charge and commanding groups of people, making careers in management ideal for them. Oftentimes dragons are happiest in positions of power in which they can take the reins and do things themselves. Snakes are notoriously mysterious and difficult to convince to open up, but around friends and family they are genuine and honest. Snakes are kind and radiate warmth until angered, and then become cold and calculating. Snakes find happiness when they are around people they can trust. When a snake enjoys the company of others they can let their true colors shine through. The key to a happy life for a snake is to find trustworthy people and keep their company. People born under the Chinese Zodiac sign of the horse are known for their strong personalities. 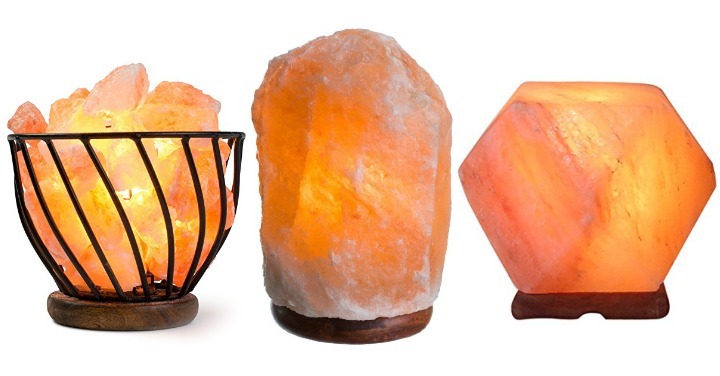 They are naturally outgoing and comfortable in social situations. Horses tend to speak up for the things they believe in even if it will earn them the disapproval of others. Learning diplomacy is an important key to a horses’ happiness, especially if they want to keep peace in their interpersonal relationships. Relationships and social time are both highly important to the inner balance of a horse. Finishing projects is not a skill that comes easily to horses, so learning to finish what they start is an important step toward reaching true joy. Goats tend to lean toward more artistic endeavors in life. A goats’ personality can be described as serene and peaceful. The key to happiness for a goat is organization and tradition. Goats enjoy a scheduled and regimented life lead by their desire to keep everything orderly and tidy. An important aspect of attaining joy for a goat is to remember to loosen up and occasionally let others take the reins. The best relationships for a goat are those in which they are allowed their space. Monkeys are the problem solvers of the Chinese Zodiac. Due to their curious nature, puzzles excite and intrigue them. Receiving adequate attention is essential to the happiness of a monkey. The best way to reach true joy for a monkey is to find a career and group of people that will allow them to be the center of attention. Monkeys are outspoken and fun in all their endeavors. Roosters are confident winners in life. They often come off as slightly arrogant at first but this is only due to the fact that they like to be right and have a firm belief in themselves and their plans. Roosters enjoy mingling with new and exciting people often and an important key to their happiness is to maintain a vibrant social life. Another thing that will help roosters stay happy in life is to have a large group of people who hold confidence in them and will listen when they have something to say. Dogs are the people who always put others before themselves. Empathy and compassion are key character traits for dogs. An important step to achieving happiness for dogs is to remember to attend to their own needs. Dogs get caught up in helping others and forget to take time for themselves. It is key for a dog to keep people in their life who understand their need for an occasional break from helping everyone else. Pigs tend to be vulnerable due to their belief in the basic goodness of mankind. For a pig, the world holds much wonder and many new and exciting things to learn about. 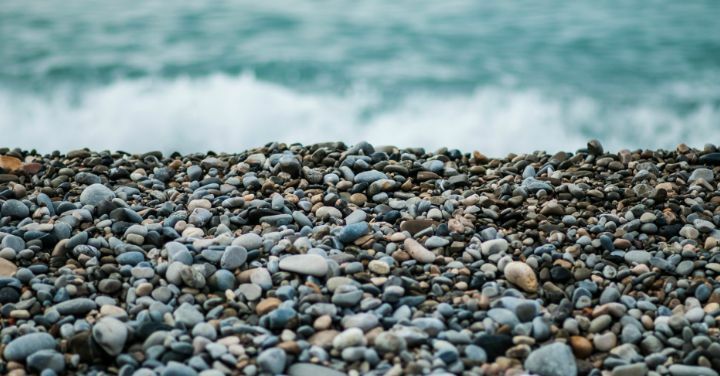 Their curious nature can lead them to many exciting places. Pigs will be happiest when allowed to live live their own way. An important key to happiness for a pig is to remember to slow down and enjoy all of the new things they find themselves curious about on a day to day basis.